In search of support? Credit: Shutterstock. Instagram has announced it will ban graphic self-harm images from the platform. 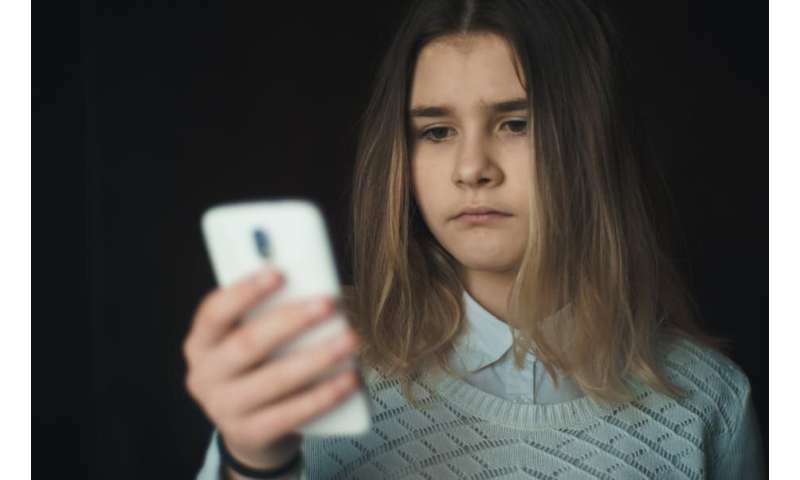 The social media company has been under pressure from the UK government and health professionals – including Dame Sally Davies, England's chief medical officer, who recently argued that social media companies have a duty of care to keep children safe. There is growing concern that such content "has the effect of grooming people to take their own lives", according to Jackie Doyle-Price, the government's undersecretary for mental health, inequalities and suicide prevention. It's key to recognise that young people who search for self-harm discussions and imagery online are likely to be harming themselves already. As this research participant suggests: "I started to self-harm at the age of 14, it began as a nervous habit of mine, when I was stressed. Someone noticed me scratching my hand up, which I didn't know was self-harm at the time, and this person told me that a pencil sharpener blade worked better. I couldn't get it out of my head, so I googled it and it was a spiral from there." Seeking understanding and support for their self-harm is a key reason why a young person may turn to social media, as another participant told us: "As a teenager I spent all my free time searching for help and support online because I just didn't have a healthy outlet or anyone to talk to. I was desperate to find people who could explain what was going on and tell me what I needed to do because I felt so lost and had no idea." For a young person in distress, posting a seemingly "graphic" photograph of their cut or burnt arm can be a way of reaching out for help and understanding. Friends and strangers respond with offers to talk or keep the person company, and with requests for updates on how they are. When young people express a need to harm themselves on social media, this is often met with advice on how to resist such urges, and offers of alternative coping strategies alongside "hugs and love". Participants may also congratulate one another for not self-harming and encourage each other to "remain clean". Research into mental health has long acknowledged the internet's potential to offer support, including in relation to self-harm. For example, analyses of pro-anorexia websites have explored the complex ways that the internet can be a "sanctuary" for those in distress – but it also has the potential to normalise such behaviours, in a way that can stop people from seeking help offline. While this is a clear danger of content about self-harm, it's crucial to distinguish between continuation and causation, as our participant suggests: "I think there's a misconception that people will get into self-harm because they see these pictures… But I think it can make it worse… There's a lot of things about social media that are really helpful and it's often the only place that people can go to talk about what they're experiencing and to get support for. But there's also some pretty dark places online." It is important to note that both supportive content and "graphic" self-harm content are attached to the same hashtags, or found within the same online spaces. So Instagram's jump to ban such content could be dangerous. For example, Instagram has recently altered its search engine so that it is no longer possible to search for hashtags relating to self-harm. This means that currently searching for #selfharmsupport also returns no results. It's crucial to consider how to improve young people's online safety, without pushing them further towards "darker places" in their search for support. Self-harm content on social media must be considered in context – and decision makers need to recognise how it relates to what's going on in society. If politicians and health professionals adopt a narrow focus on self-harm content, they could lose sight of the more pernicious but widespread dangers of social media. What's more, they risk overlooking the fact that young people can be propelled towards online spaces by encountering stigma and misunderstanding when they attempt to talk about self-harm with people in their lives offline. "I reject the idea that it [social media] holds the blame for self-harm or related behaviour or illnesses. The real responsibility lies with what attitudes, decisions and opinions we put out into society, which we have been doing long before social media." Rather than focusing on shutting down discussion on social media, current and previous research indicates that politicians and health professionals should question what's happening at a societal level to lead young people to self-harm. It's also crucial that across society we respond appropriately and with compassion, so that a young person struggling with self-harm is not compelled to seek support on social media.